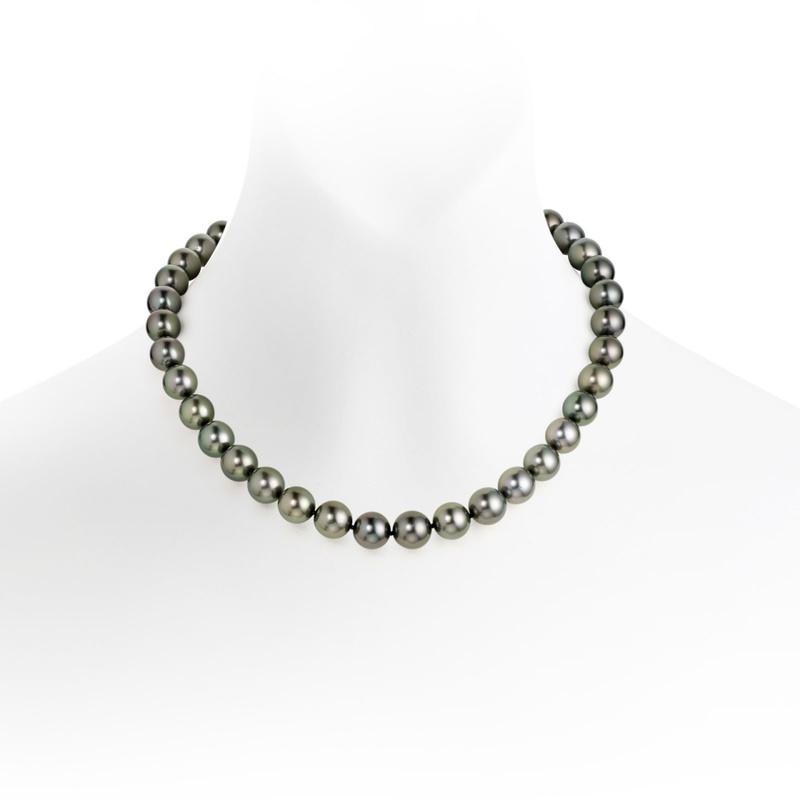 A beautiful pearl choker necklace, with grey Tahitian pearls that will create a chic and sophisticated look for the daytime or evening, finished with an 18 carat gold clasp. 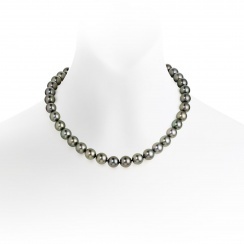 A choker is a shorter necklace of between 35 and 41cm length that nestles in the hollow of the neck. 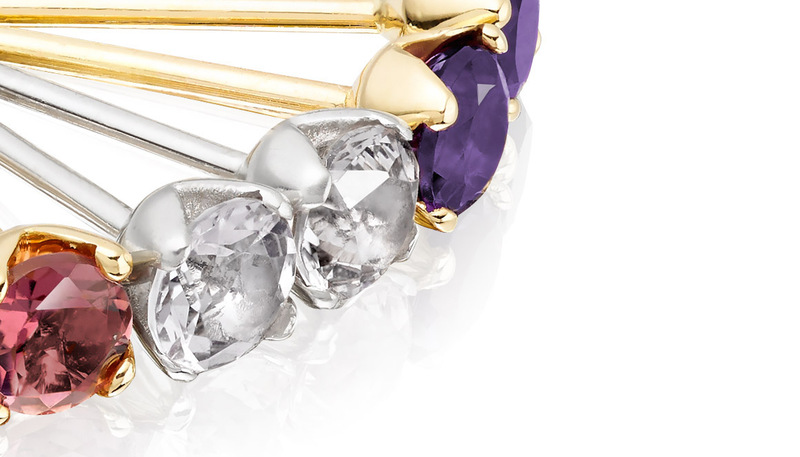 It first became fashionable in the second half of the 1800s and more recently has become a popular choice of necklace length for many leading designers. 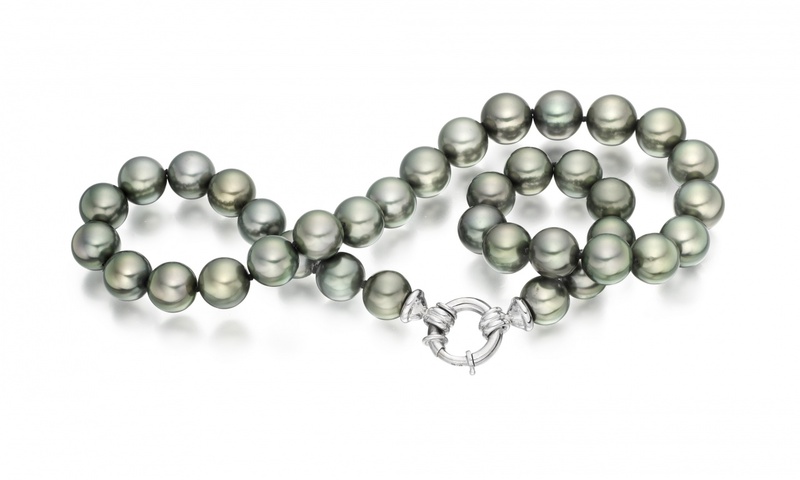 The cultured saltwater Tahitian pearls chosen for this necklace have an excellent sharp lustre, natural colour and clean surface. 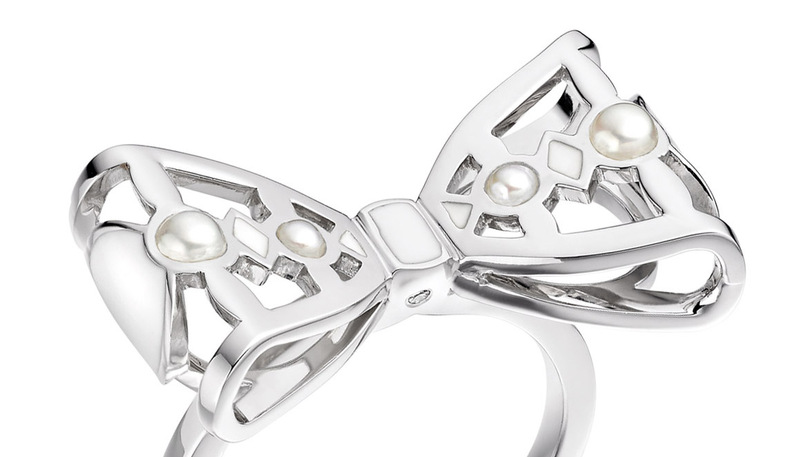 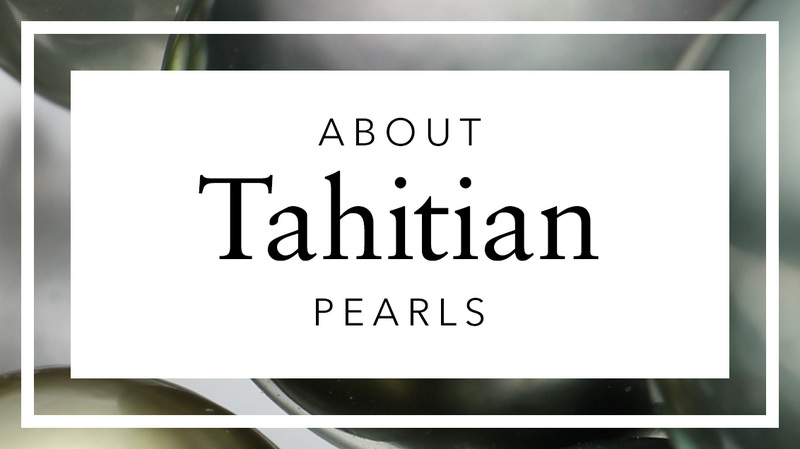 Grown in oysters in the warm saltwaters of the South Pacific and French Polynesia, these 10-11mm diameter pearls are hand selected for their quality. 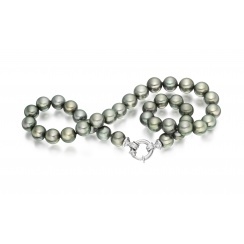 This 41cm necklace is individually knotted between each pearl for safety and is completed with an 18 carat white gold spring ring clasp. 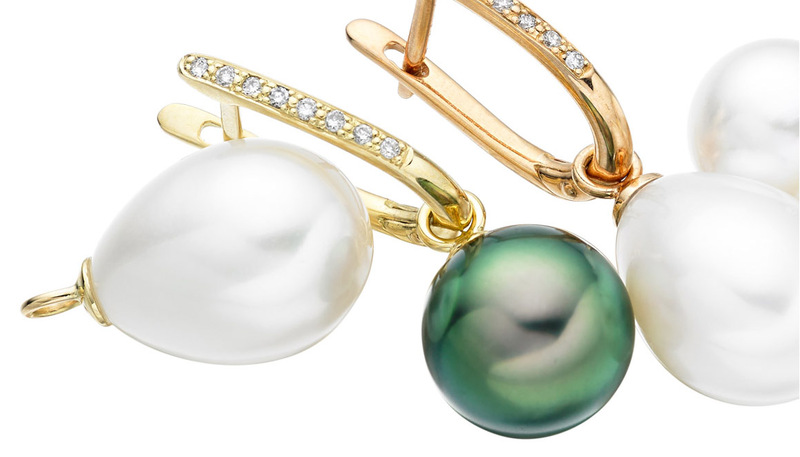 We are also able to match the necklace with a pair of Tahitian pearl earrings. 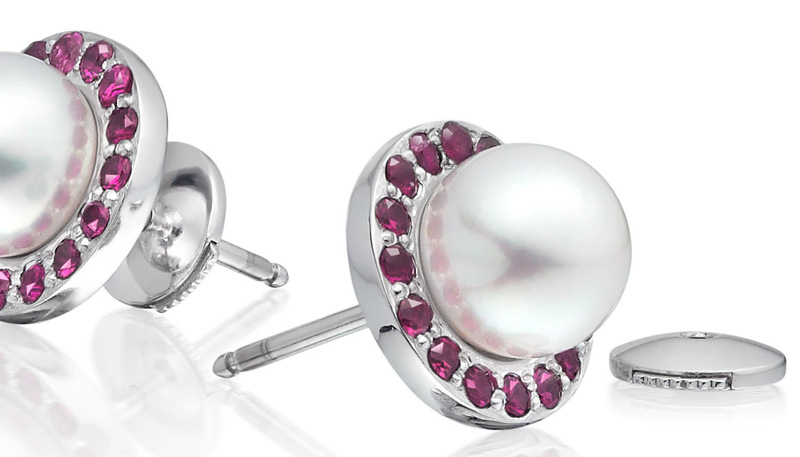 Please contact us if you would like any further information and we would be happy to offer you some assistance.